To be able to produce food of such quality and finesse on such a large scale really is a skill that not many caterers can truly boast about, but Bespoke do exactly this and more. 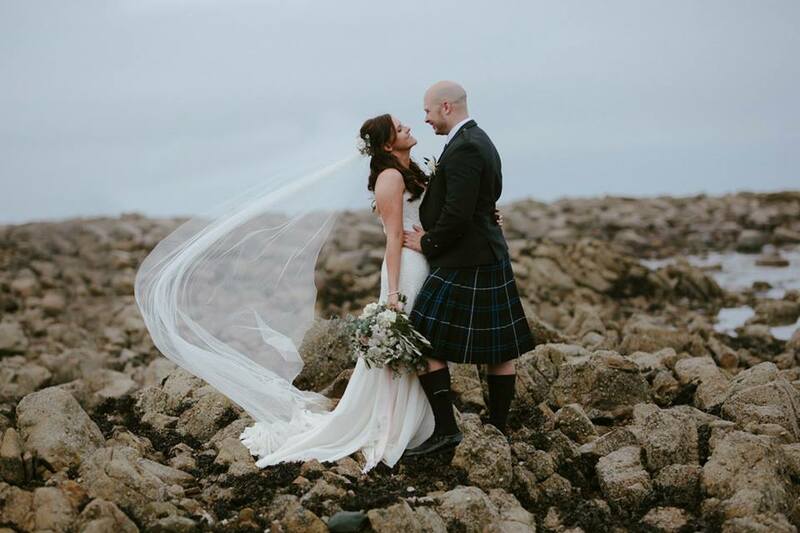 They really made us feel safe in the knowledge that they had everything under control and that nothing was too much trouble for them, and as a result we were so relaxed on our wedding day! From start to finish they have total flexibility, and will work with any ideas you have all with a touch of unique creativity and professionalism. This is what made them really stand out to us above other event caterers, as they have this wonderful ability to adapt to whatever vision you have for your event and provide catering with a true ‘wow’ factor. All of their staff were fantastic, polite and happy but with lots of personality! We could tell from speaking with them that they really loved their jobs and this showed through their thoughtfulness and attention to detail. For example, setting aside canapés for us while we had our photos taken was a great touch. We’ve been to so many weddings where the bride and groom haven’t even had a sniff of food before the main meal! The food itself was exceptional, from the canapés to the wedding breakfast and the evening meal, all of our guests commented on how well-presented and delicious it was and many said it was the best meal they’d ever eaten, let alone at a wedding! We really can’t say enough good things about Bespoke: their delicious food, calm and professional attitude, and ability to handle anything thrown at them really makes them a complete and unique package and we are so pleased we chose them. They really did help make our wedding the unforgettable day it was and we just wish we could do it all over again!